Mon 23 January 2012 "Published (again)"
One of my pictures has made it into the Harrogate Advertiser again this week. 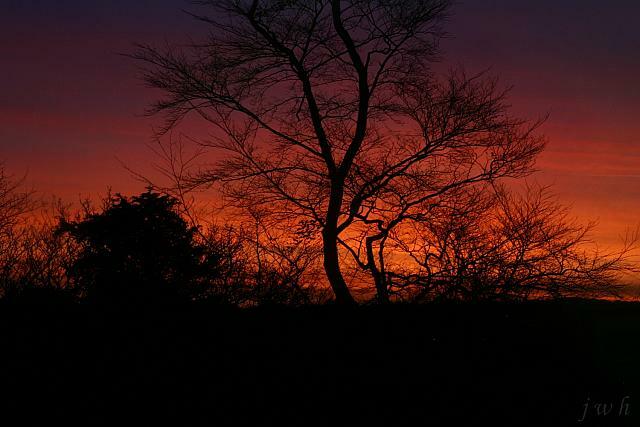 There was a particularly amazing sunset, and they invited readers to send in pictures. And there it was on page 6! I’ve decided I’m going to start a photographic scrapbook, where I can put bits and pieces like this that come out of my photography! St Robert’s, Pannal Photographic Competition is running again this year. This was the competition I won last year – I think I might try my luck again! The Great Yorkshire Show are also running their Woodland Photographic Competition again this year, and I might have another stab at that. Last year I didn’t make it past the first round – maybe this time I’ll do a bit better?